Beo Bathrooms introduces a wondrous set of co-ordinated products. Our latest range of Bathroom Suite Collection includes products from BEO and other renowned brands. Every suite made by BEO redefines luxury and is a brilliant mix of a minimalist bath, essential WC unit and a classic basin. This awe-inspiring collection is made from best quality materials for enhanced durability. Finished in top quality finishes, every item complements each other perfectly while offering superior functionality. Made from tough, resilient materials, each one is designed to provide you with excellent service and adding grandeur to the surroundings and offer an attractive appeal. Every bathroom suite has been researched and exclusively put together for you, eliminating the need for individual purchases, saving you time and cost. Beo Baths are also available as individual products that will add volumes to the ambience of indulgence and glamorize the bathroom decor. We have also displayed Beo enclosures and shower quadrants below. From see-through, walk-in showers and compact quadrants to the modern frameless enclosures, the Beo ranges have it all. 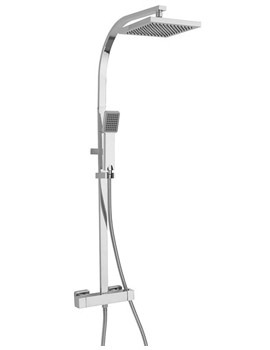 Constructed using toughened safety clear glass, these products enable you to enjoy carefree, luxurious showers. Be it single shield or quadrant variations; minimalism is a constant feature in the entire range of Shower Enclosures from Beo Bathrooms. The glass enclosures and panels look stunning on their glossy aluminium frames that offer stability and support. Shower valves displayed below are designed to manage the complex task of mixing water at different temperatures and regulating its flow thereby enabling a smooth shower experience. The thermostatic shower valves from BEO have an inbuilt Anti-scald safety feature to ensure water flow at consistent temperature. Stylish and minimalistic in design, the entire range of Valves and Kits from this brand are tested for durability and finish. Kit models include Traditional Slider Rail, Rectangular Slider Rail; a Multifunction version and a Contemporary – Telescopic Shower Kit. The Beo range is compatible with all plumbing systems and available, at unbelievable prices at our on-line web store.